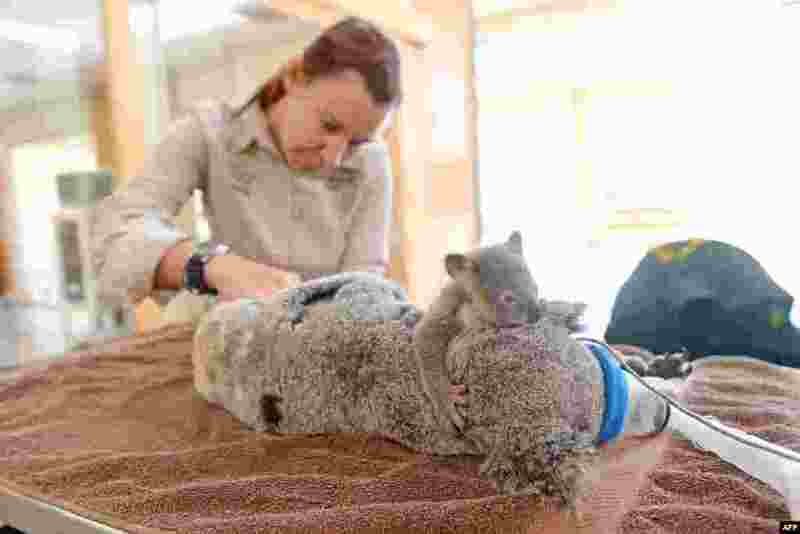 1 This picture taken by Ben Beaden and released by the Australia Zoo shows a baby koala holding on to his mother as she undergoes surgery at Australia Zoo Wildlife Hospital in Queensland. Koala mom “Lizzy” and koala joey “Phantom” were brought into the hospital after Lizzy was hit by a car on the Warrego Highway near Coominya, west of Brisbane. 2 Mark Howard Griffin of the Philippines competes in the men's wakeboard semifinal at the SEA Games in Singapore. 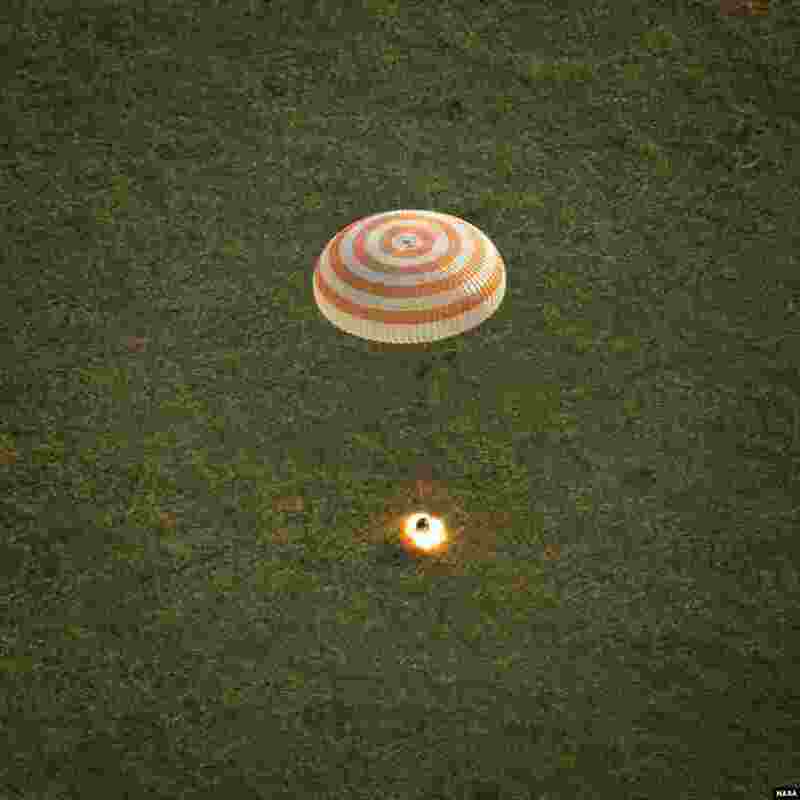 3 The Soyuz TMA-15M spacecraft lands with Expedition 43 commander Terry Virts of NASA, cosmonaut Anton Shkaplerov of the Russian Federal Space Agency (Roscosmos), and Italian astronaut Samantha Cristoforetti from European Space Agency (ESA), near the town of Zhezkazgan, Kazakhstan. 4 Migrants wait to receive food at the Central railway station in Milan, Italy. 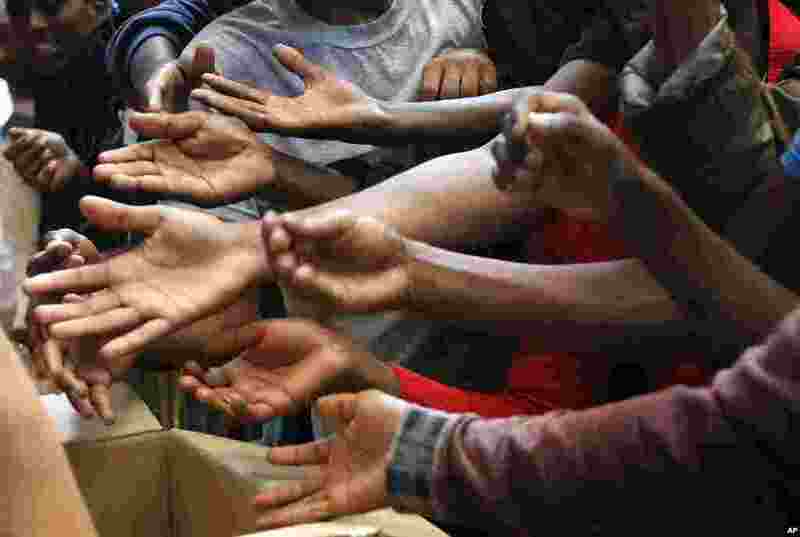 Milan city officials are appealing for help in managing the huge number of migrants arriving from southern Italy.